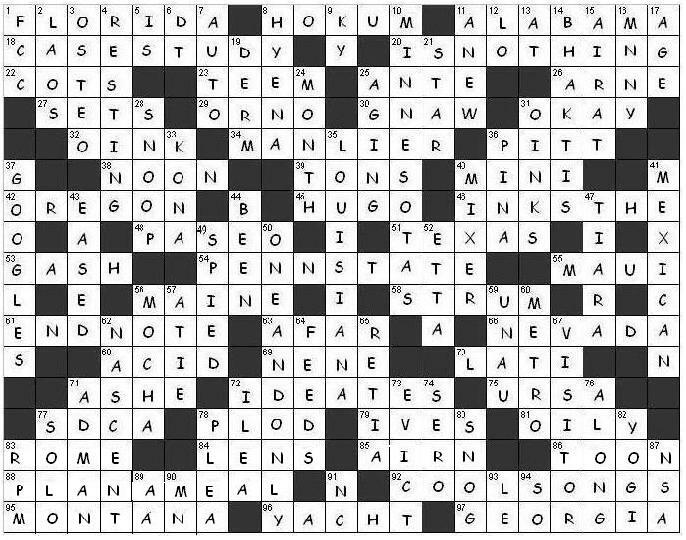 For a collection of Free Printable Crossword Puzzles, scroll down this page, or visit the links shown below. 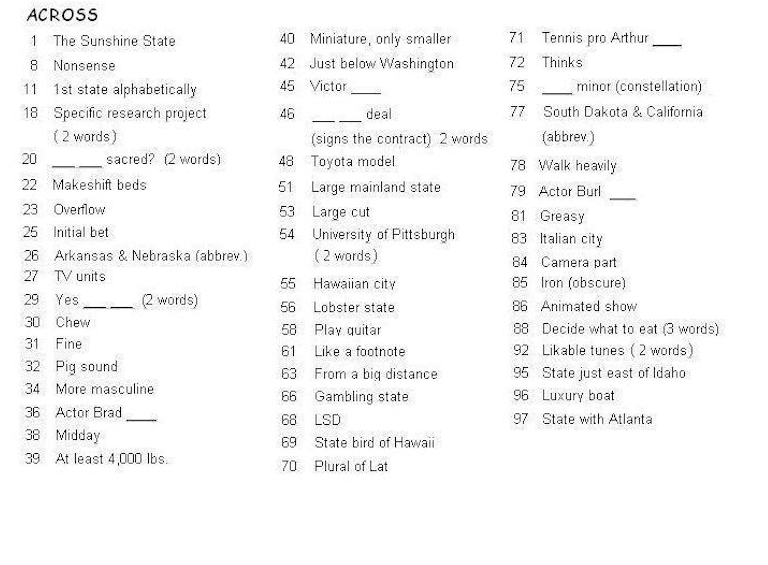 The crossword puzzle on this page contains state names, state abbreviations and American cities. The goal of a crossword puzzle is to fill the white squares with letters, forming words or phrases, by solving the clues. Each answer begins in a numbered square, and is spelled either left-to-right (across), or top-to-bottom (down). To print these images, just right click on the puzzle grid or clues and select a SAVE option from the drop-down menu. Do the same for the across clues, the down clues, and the solution grid, also shown below. Saving these images will send them to your picture file. From there you can reduce or enlarge the images, and adjust the margins as needed before printing. 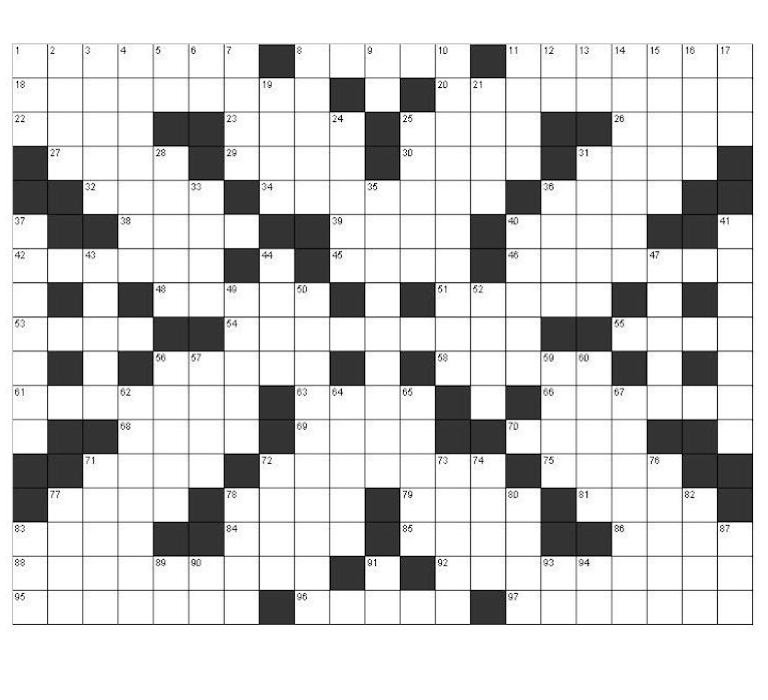 When you are ready, print the images, grab a pencil, and start solving these free original printable crossword puzzles, available only at uslearning.net. The creating of crossword puzzles is called cruciverbalism. Crossword puzzles are NOT case-sensitive. 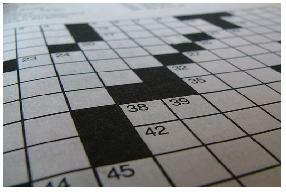 However, most crossword solvers find capital letters easiest to use in a typical puzzle grid. The main reason for capital letters is that they eliminate the potential confusion between the letter i and the letter l.
Many crossword puzzles feature a "theme," meaning a number of entries that share some common element. Visit this page to view fascinating Fact and Photo Galleries for All 50 States. Hit this link to learn how to Work From Home, anywhere in America. Go here to see a complete list of PhD Programs in All 50 States. Click here for Affordable Travel Deals to Every State.